I found a can of coconut milk in my cabinet about a year ago. Not the coconut milk that cool young people sip on their way to SoulCycle, but the thick, creamy stuff that vegans bathe in. 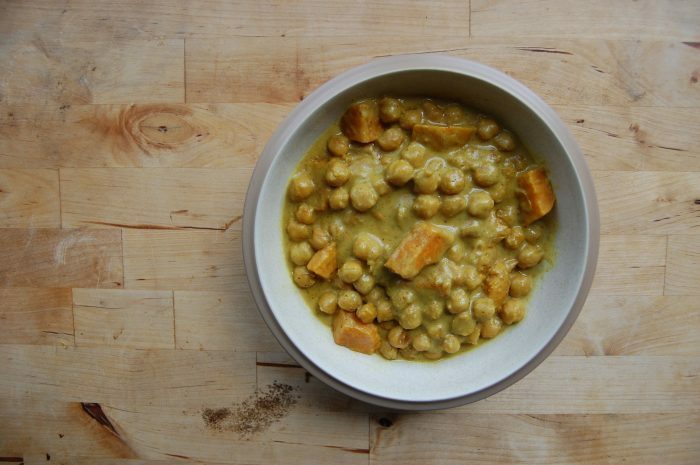 I wasn’t sure what to do with it for months and months and then it hit me: chickpea and sweet potato curry. 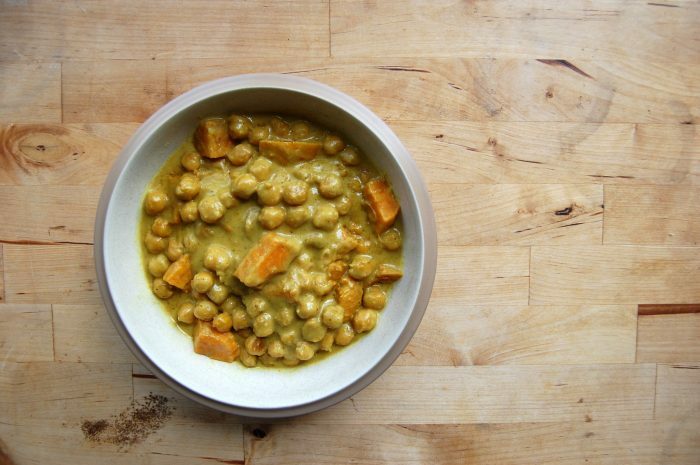 This dish covers all the bases: it’s sweet, salty, spicy, and vegan! 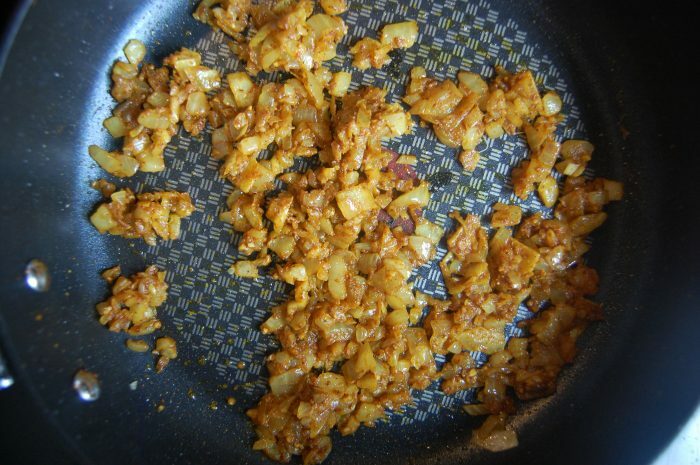 I blended the base of the curry to ensure no crunchy onions, the worst things in the world. 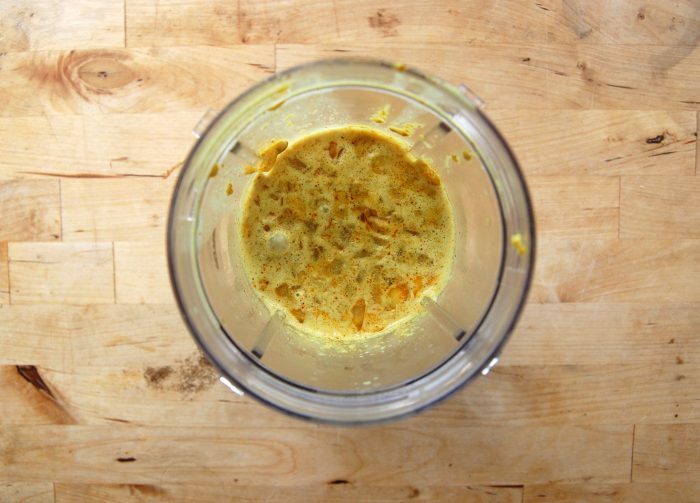 You can, of course, use a food processor, but the Nutri Ninja is so darn convenient. The Ninja cups are also portable, in case you feel like drinking curry on-the-go. Visually, this dish turned out a little monotone. Then I served it in a beige-bowl. I promise, it tastes much better than it looks. 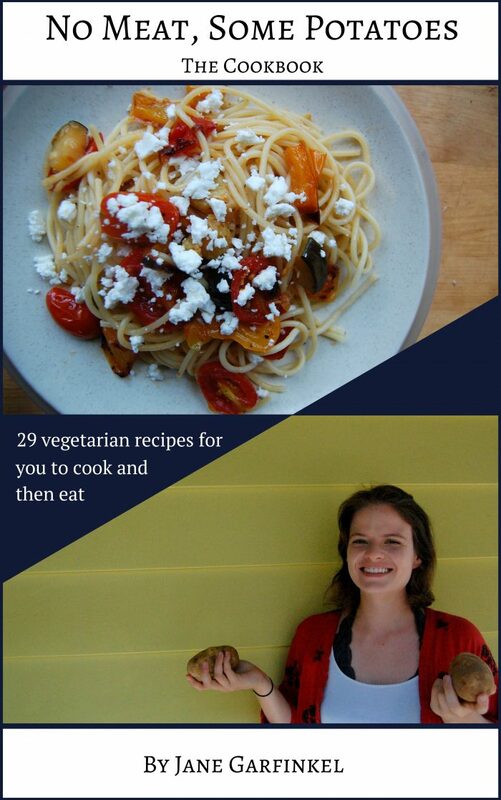 If colors are very important to you, throw some cilantro on there, or just serve it on a blue plate. 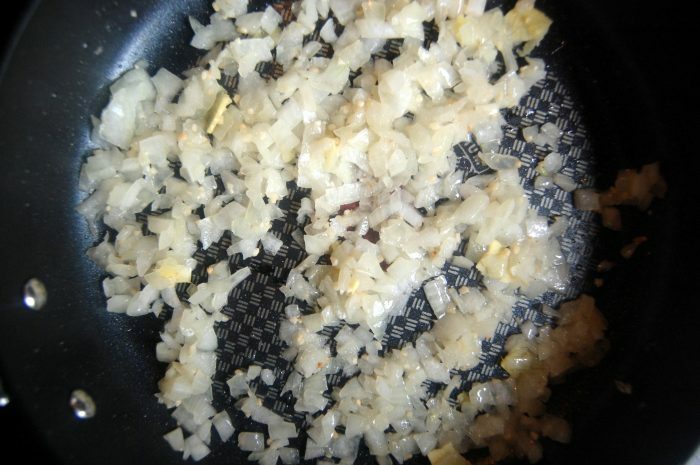 Cook the onion in oil until it becomes transparent and then add the ginger and garlic. I left my ginger in large chunks because I planned to blend it later and am lazy. These are all the spices I decided on and they turned out pretty great. 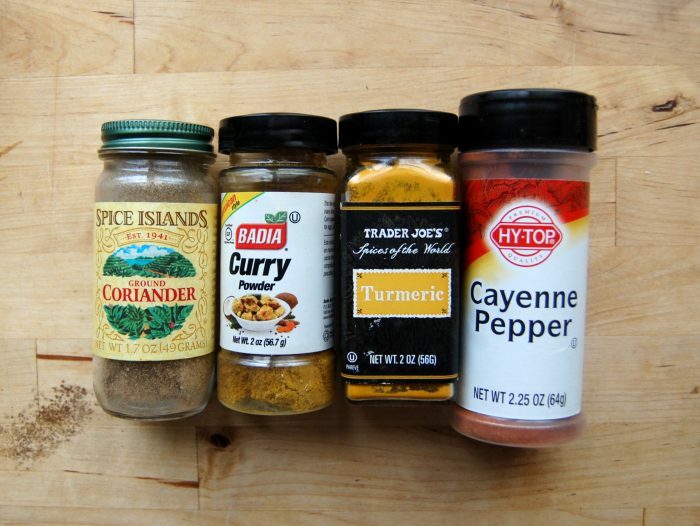 I think most people add way too little spices. 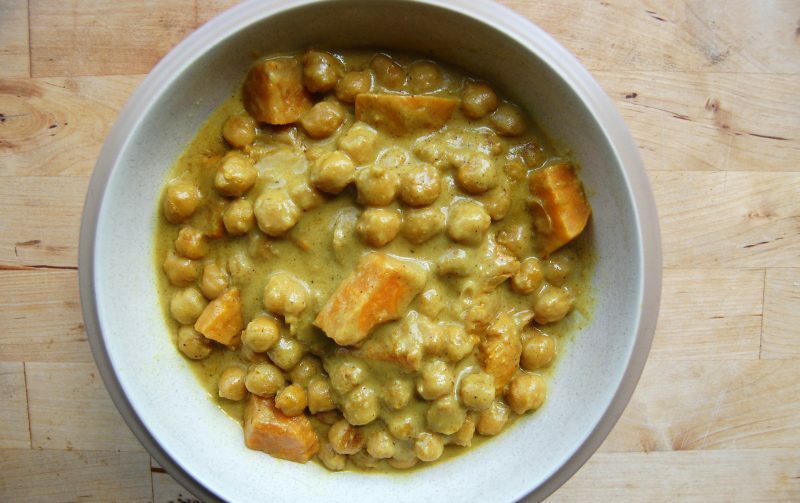 A teaspoon of curry powder? What is that going to do? Pour the stuff in until it forms a one of those dirt piles you pass when you drive down the New Jersey turnpike. 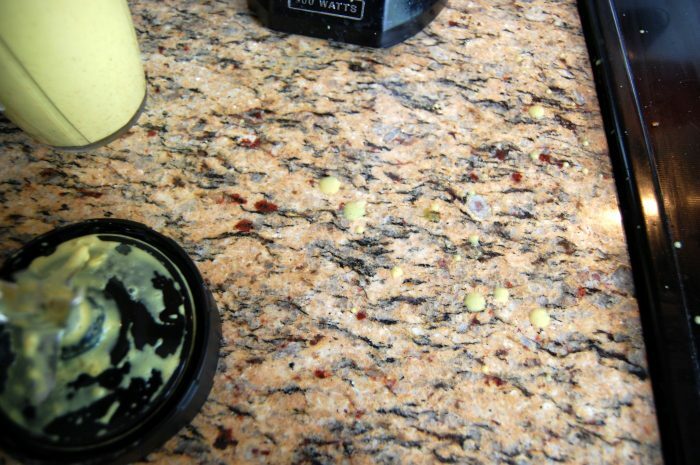 Stir the spices into the onions. Add in the coconut milk and stir. Pour the mixture into the Nutri Ninja and let it cool. 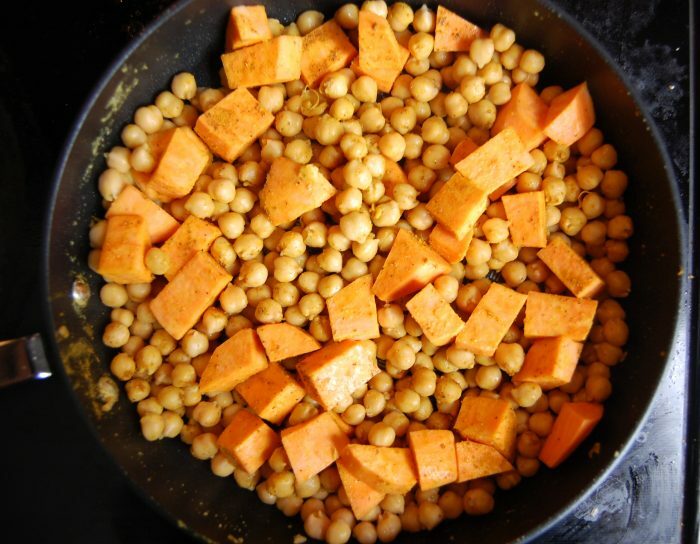 In your now empty pan, put in fresh oil with chickpeas and sweet potatoes. Cook for about ten minutes to let the outsides get a little bit crispy. When the coconut milk mixture is cool enough, blend it up. 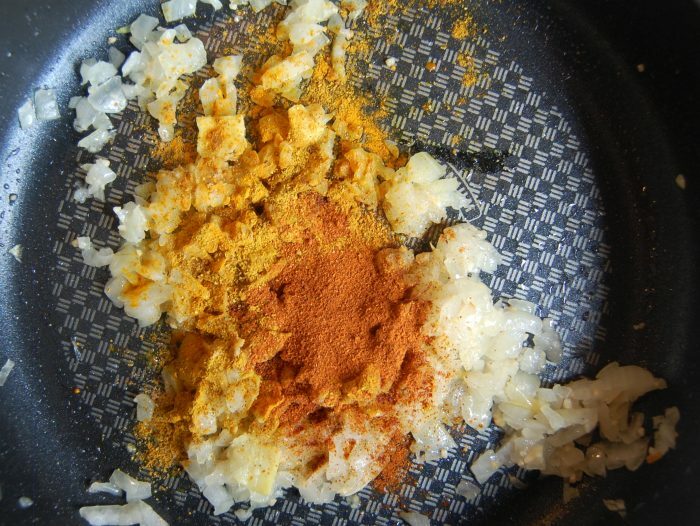 If you blend something too hot in a Ninja, steam will build up and blast curry, shown above. 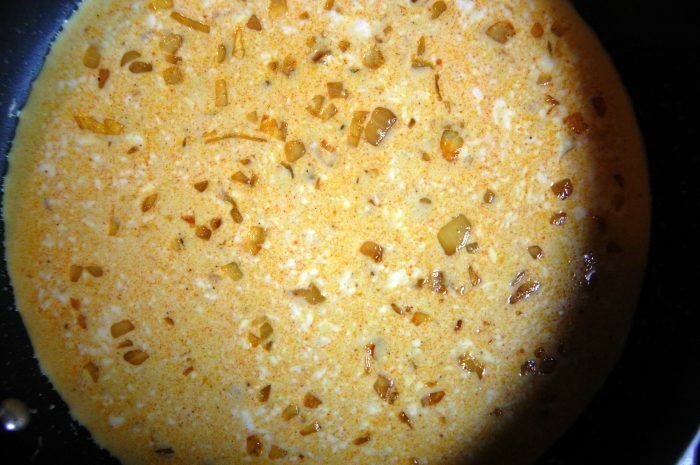 Once the mixture is smooth and creamy, add it to the pan. 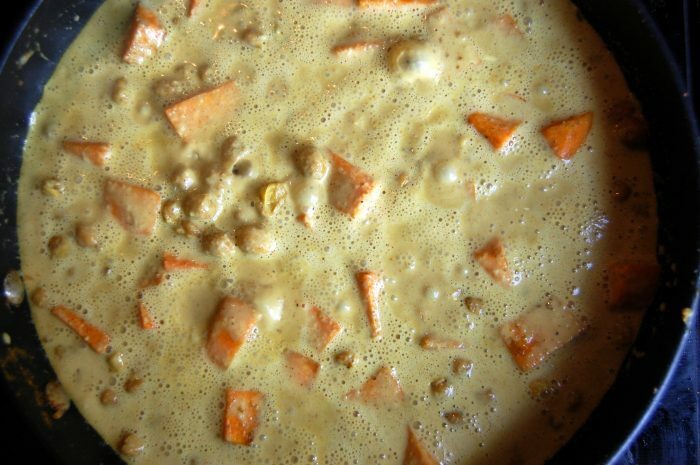 Simmer until the sweet potatoes are tender, about 20 minutes. Add salt and pepper.